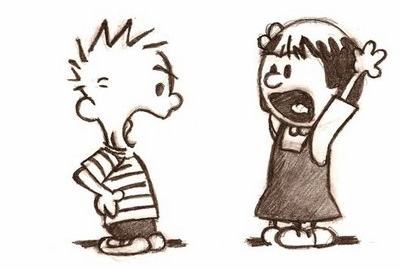 Have you ever been annoyed when arguing with Christians? Have you ever become frustrated by all the different arguments they have given you for the existence of God, feeling like you have gone nowhere and wasted time? Well, you are not alone. Christians have been frustrating atheists (and many others) ever since atheists started doing their atheist thing. Allow me to help you in your endeavor to show Christians’ their faith is worthless. If you really want to shut the mouth of a Christian and make his entire belief system crumble down, take heart, there is only one thing you have to do: prove that the resurrection of Jesus Christ didn’t happen. If you do this, you will win. Promise. If Christ has not been raised, then our preaching is in vain and your faith is in vain. We are even found to be misrepresenting God, because we testified about God that he raised Christ, whom he did not raise if it is true that the dead are not raised. For if the dead are not raised, not even Christ has been raised. And if Christ has not been raised, your faith is futile and you are still in your sins. Then those also who have fallen asleep in Christ have perished. If in Christ we have hope in this life only, we are of all people most to be pitied. (1 Corinthians 15:14-19). In other words, according to Paul, if the resurrection is not true, then all of Christianity melts into a hot mess of nothingness. The cross without the empty tomb is only an execution, not a rescue. Christianity without the resurrection is pointless. Now, before you go off searching for other plausible reasons for the empty tomb of Jesus, make sure you don’t repeat the silly arguments or your predecessors. For example, don’t do thoughtless things like arguing that there are no non-biblical accounts of the resurrection or the disciples stole the body or that they conspired and lied about it or that everyone was hallucinating or that they forgot what tomb they actually laid Jesus in or that Jesus was not dead, just mostly dead and woke back up in the tomb or other silly arguments like these. Click on those links and I think you’ll thank me for helping you not repeat such silliness. So, hopefully this was helpful. Do some homework and study the evidences Christians give for the resurrection of Jesus (here and here are good places to start or if you don’t like reading, watch this). But don’t fret, knowing how “thoughtless” Christians are, it shouldn’t take long for you to produce a convincing case against the resurrection of their Lord. Once you are able to disprove the resurrection, you can finally shut the mouths of those annoying Bible thumpers. This entry was posted in Uncategorized and tagged apologetics, argument, cross, gospel, jesus, lee strobel, michael patton, resurrection. Bookmark the permalink. Ah. So ignoring the burden of proof would do it. I see. Luckily, I don’t care if Christians believe whatever they want. As long as they harm no one and don’t insist on their religion being taught as fact in public schools, I’m fine with them. Thanks for the comment. In this specific post, the assertion is clear: The most plausible explanation for the resurrection of Jesus Christ is the resurrection as described by the apostles in the New Testament. That is the only territory I touched on in this post. And saying “now prove that assertion wrong” is about as sensible as saying “prove Bigfoot doesn’t exist”. It is the responsibility of the person making the claim or the assertion to provide evidence. It is not the responsibility of the person who doesn’t believe the claim or assertion to prove it wrong. Ah, yes. Apologies for the misunderstanding. You’re right, the post didn’t have the evidences of the resurrection explicitly listed, but I linked to various posts putting forth evidence on the last paragraph of the post when I pointed people to do some homework on the subject. The purpose of this post was more intentioned to point folks to the heart of Christianity and the foundation of it’s claims (i.e. The resurrection). By the way, the water bear is amazing. I was just responding to the point in your post where you explicitly said ‘prove this wrong’. Which, as I said, both assumes that it has been proven and switches around the burden of proof. No magic involved here, only the power of God. And yes, there are lots of very good and very diverse arguments (from philosophy, science, history, etc.) for the existence of the Triune God of the Bible. However, if you presuppose the existence of this God and any supernatural realities, then you have completely closed yourself off to any theistic conclusions, no matter how compelling. I know you think it’s different, but it amounts to the same from an outside observer. It was not meant as an insult. I can use the term ‘supernatural’ if you prefer. That’s the problem. I don’t presuppose the existence of the god you believe in. I use evidence to determine things, based off its record of success in determining the truth of matters. I disagree with Plantinga about what he thinks ‘atheism’ means. His argument against atheism is not against an atheism I happen to hold. So, it’s mostly semantics. I do not believe the claims made by people who believe in a god or gods. I do not think the evidence they have is sufficient to believe in their particular claims. One can put whatever label on that they wish. Thanks for the comment Gary. What masses are you talking about? There was no expectation of a single resurrected Messiah. That’s why Jesus’s own disciples scattered after His death because they didn’t expect Jesus to rise again. Even if you couldn’t come up with other possibilities (and one clearly clan), the answer that requires some form of magic will always be unlikely unless or until there is evidence to support the existence of said magic. Burden of proof? I have an entire library that shows Christians giving proof of the resurrection of Jesus Christ. Anyone can start with The Resurrection of the Son of God (Christian Origins and the Question of God, Vol. 3) by N.T. Wright. It is arguably the greatest work on the subject. Have fun with your debate. Do you know what the burden of proof is? (I ask because it’s unclear, not as an insult.) Do you understand that for extraordinary claims, it makes sense to demand extraordinary evidence?